you susceptible to a host of illnesses. 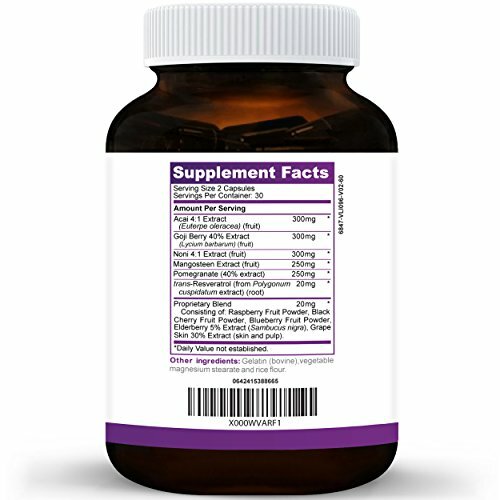 increase energy levels, support the immune system, and ward off eye and memory problems. 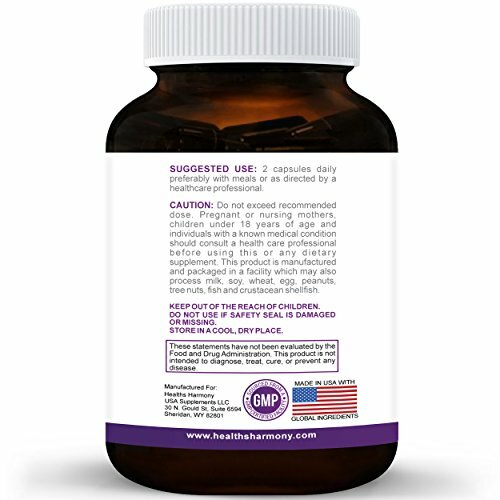 made in the USA, this supplement is safe and high quality. 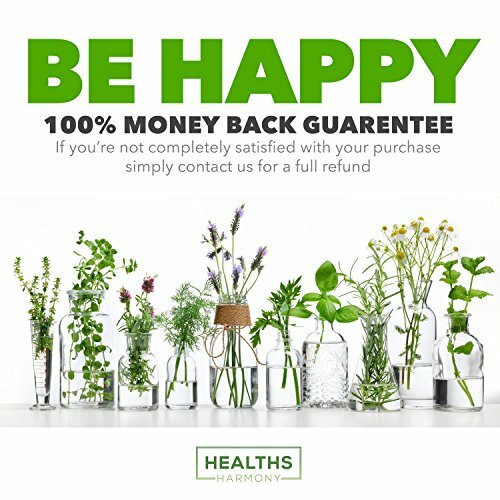 REGAIN HEALTH WITH FULL BODY ANTIOXIDANT SUPPORT: Crucial to good health, antioxidants help fight a wide range of illnesses and diseases. Loaded with superfood extracts like Pomegranate, this supplement boosts energy, supports the immune system, and combats heart problems. 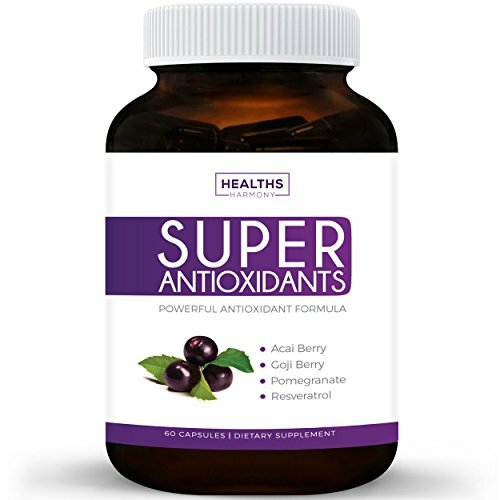 SUPER ANTIOXIDANTS FOR RADIANT SKIN: As the body’s largest organ, your skin needs some special TLC! 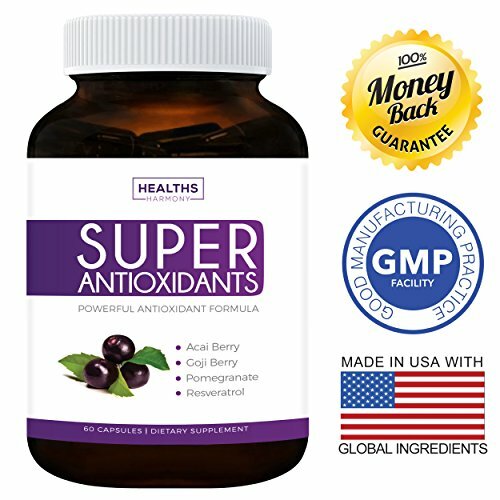 UV rays and photo damage cause sunburn and premature aging, but with Acai Berry and Vitamin E, our supplement helps protect skin from harmful free radicals. 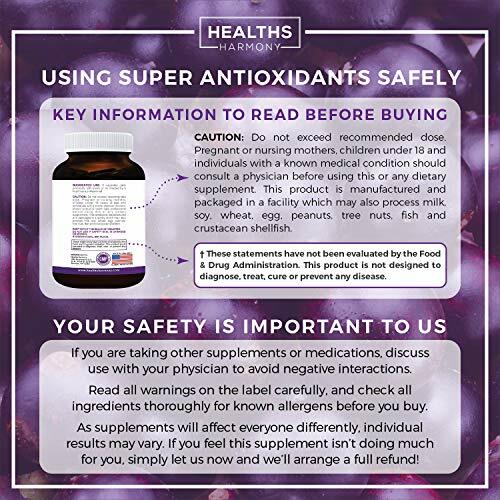 NATURAL ANTIOXIDANTS SUPPLEMENT: We’re able to offer unmatched results because we utilize a blend of natural extracts and vitamins! With Goji Berry and Vitamins A and C, our supplement delivers incredible effectiveness that your body will thank you for! 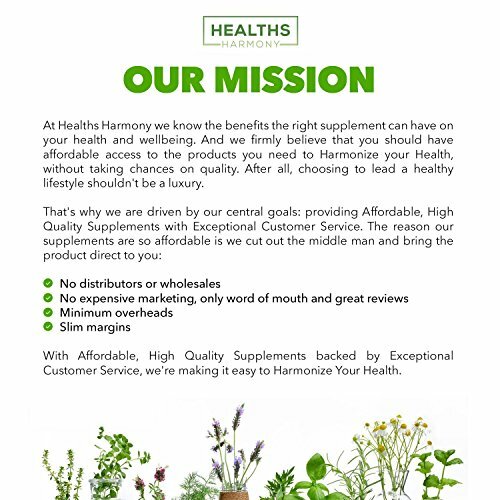 PREMIUM QUALITY GUARANTEED: As with all Healths Harmony supplements, our antioxidant blend is American-made under strict GMP guidelines. With naturally potent ingredients like Trans Resveratrol and Hawaiian Noni, you’d be hard pressed to find anything better!